Spain’s new Prime Minister Pedro Sánchez said yesterday (4 June) the European Union should be a space of economic and social cohesion and that inequalities within the bloc must be reduced. 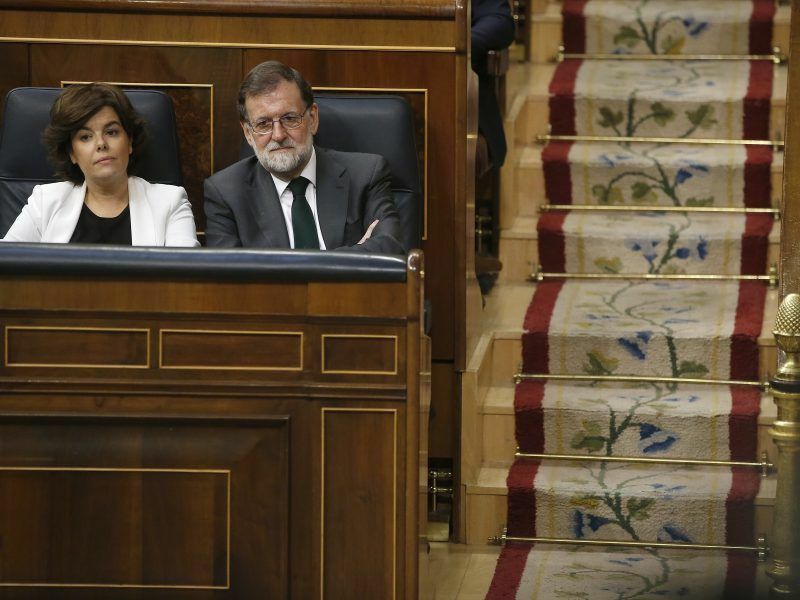 Sánchez was propelled into office on Friday after an unlikely alliance of anti-austerity and nationalist parties backed his bid to oust Mariano Rajoy’s conservatives over a corruption scandal. “The new government of Spain is firmly convinced that the project of European integration must lead above all to the establishment of a space of progress and of shared well-being,” Sánchez said in his first press conference after being sworn in on Saturday. 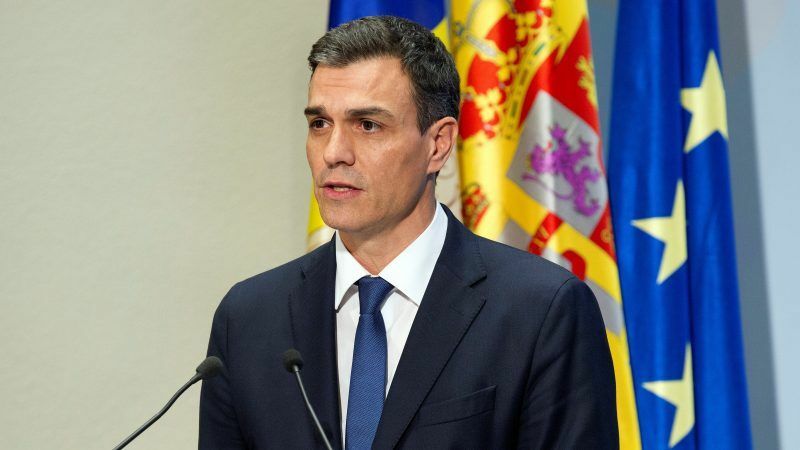 Sánchez, a strong pro-European politician, called for the “consequent reduction of the inequalities suffered by Spanish and European citizens” during the recent economic crisis, which hit parts of Southern Europe particularly harshly. The Socialist Spanish Prime Minister also said that he would put dialogue and understanding before confrontation at a time when nationalists have regained control of Catalonia’s government and have pledged to continue seeking independence for the wealthy region. “The spirit of the new government in Spain will always be to put the consensus before the tension in each and every one of the areas of Spanish and international politics,” Sánchez told a joint news conference with Andorra’s head of government, Antoni Marti, in Madrid. Former European parliament president Josep Borrell will be nominated as Spain’s foreign minister in the new cabinet, a Socialist party source told AFP. 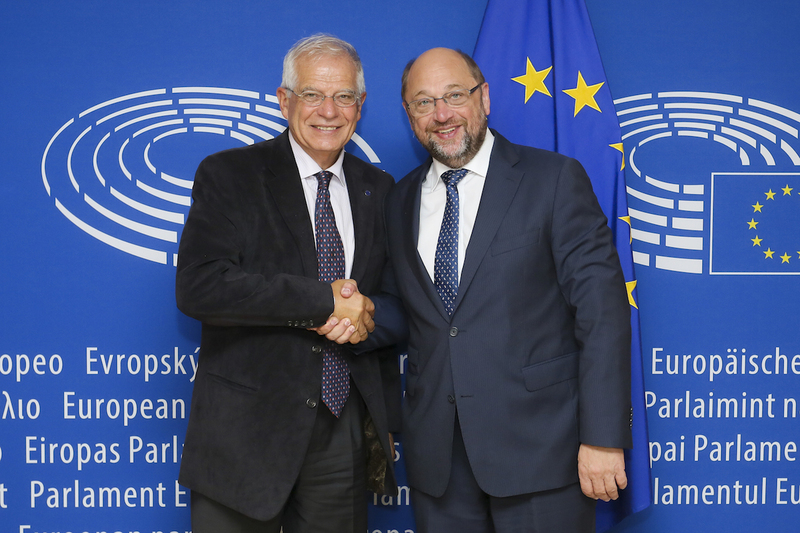 Former President of the European Parliament Josep Borrell has criticised Spain’s role in European politics over the last decade and Mariano Rajoy’s role in forwarding Spanish interests. Borrell, a 71-year-old former leader of Spain’s Socialists, has accepted Sánchez’s invitation, making him the first confirmed member of his cabinet, the source added. He will replace Alfonso Dastis, a career diplomat, who occupied the post under ousted conservative premier Mariano Rajoy. Borrell, who is from Catalonia and has been vocal in his opposition to the wealthy northeastern region’s separatist drive, served as deputy finance minister, and then public works minister, under former Socialist prime minister Felipe González, who was in power between 1982 and 1996. He was elected leader of the Socialists in 1998 but he was forced to resign the following year before a 2000 general election over a financial scandal involving two of his former co-workers when he as deputy finance minister. He was president of the European parliament between 2004 and 2007. Great move giving Mr. Borrell a nice little job as FM! And of course he already accepted. As you write correctly “he was forced to resign the following year before a 2000 general election over a financial scandal”. May we add that he was also forced to resign as president of the European University Institute in 2012 because of a similar graft situation & scandalous conflict of interests?